When I woke up this morning – a bit later than usual after a late Friday night out – I was curious to see whether Stockholm on this 31 December would be as quiet as Christmas eve (for details click here). While a few more shops were open today, many of the nice cafés I was hoping to visit on this last day of 2011 were closed. This should not be totally surprising as most of them are fairly small, family-run cafés whose owners have simply decided to take a few days off during the mellandagarna (the days between Christmas and New Year). Contrary to the situation on Christmas eve, Stockholm did not look like a ghost town today. The main streets in Södermalm – Götgatan and Hornsgatan – were busy, although I suspect I was not the only one out late last night because people started to appear on the streets mostly after noon. It was a beautiful sunny day today in Stockholm and I decided to go for a long walk around Södermalm. But first thing first: coffee. 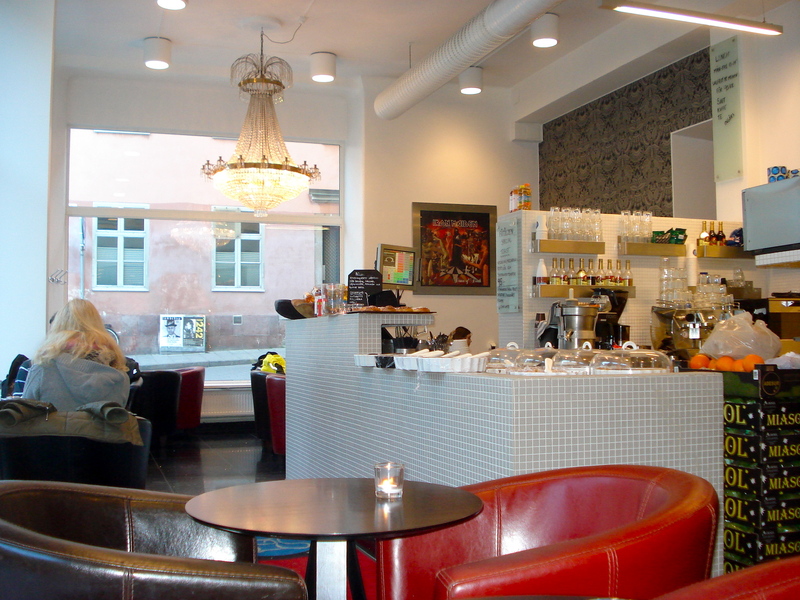 Since most of the nice cafés around my place were closed, I went on Götgatan, knowing that I would find what I needed there. 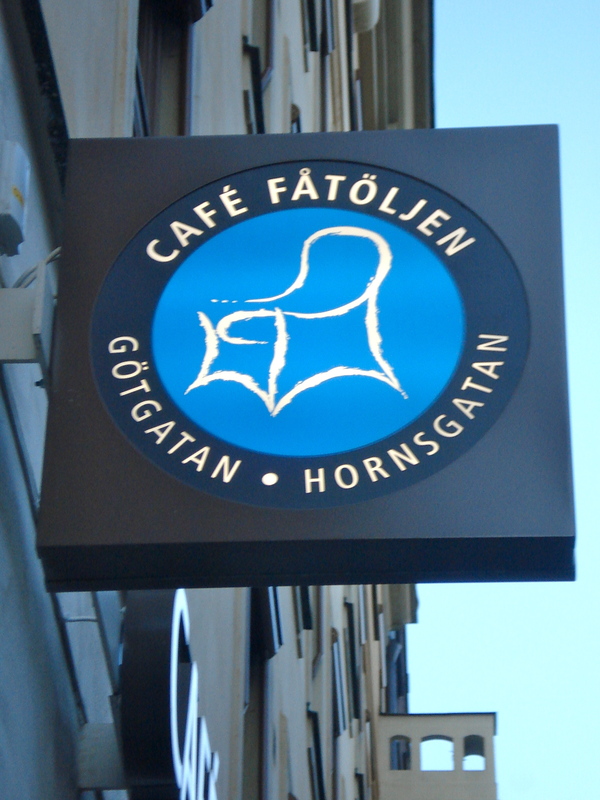 One of the first café on Götgatan when you arrive from Slussen is Fåtöljen. Fåtöljen is always packed. It is not the kind of café which attracts the local regulars. The usual customers at Fåtöljen are usually a mix of Swedes taking a break from their shopping day on Götgatan and foreign tourists. 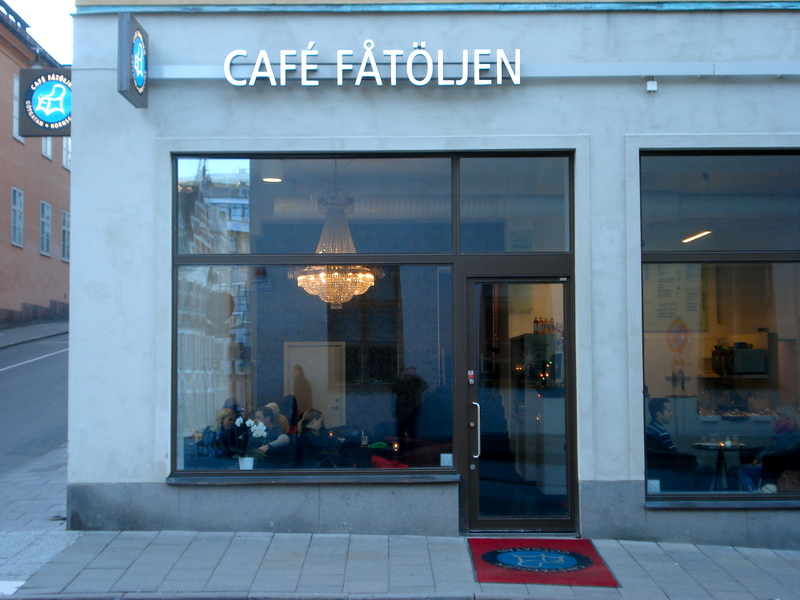 I’ve been to Fåtöljen a few times now and the staff is always very friendly. It was a bit quiet this morning so the guy and the girl behind the counter were simply having fun playing some music from their iPhone. Unfortunately, while one could expect some good music from the posters on the wall, the selection this morning was more hip hop…. 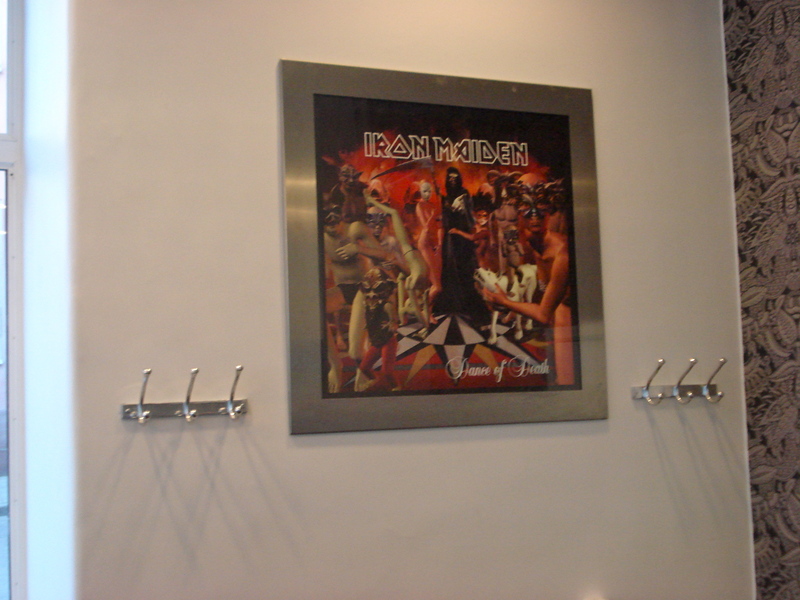 On my way back home in mid-afternoon, life had returned to normal and there were no tables free at Fåtöljen. Earlier in the morning I managed to get the corner table with a nice view on the entire café. 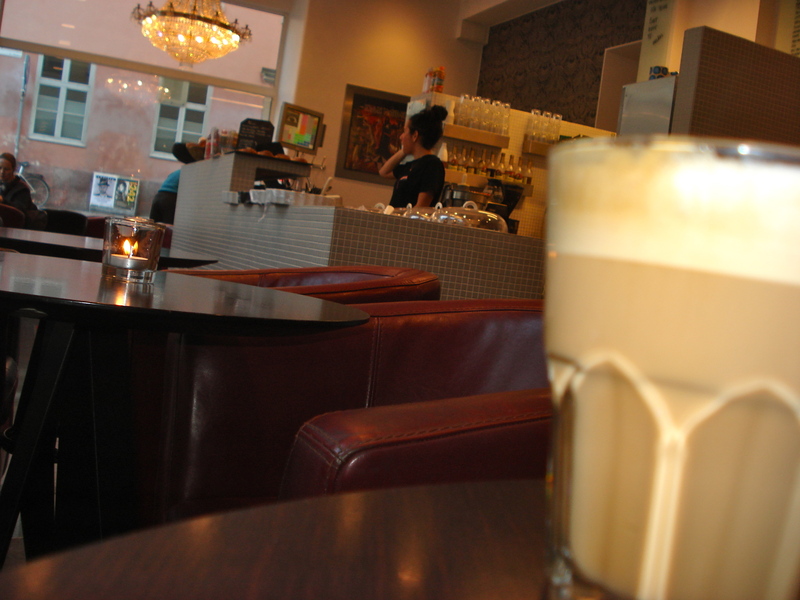 And I was comfortably sitting in my fåtöljen (chair), enjoying a nice cappuccino. Fåtöljen has a very nice menu for food too. In addition to the usual Swedish pastries, the menu offers nice sandwiches, pasta salads and a few hot dishes, including a vegetarian lasagna. I was not really hungry this morning so I will have to go back to Fåtöljen. Next time I might try the one on Hornsgatan. For more photos and the full menu, click here. 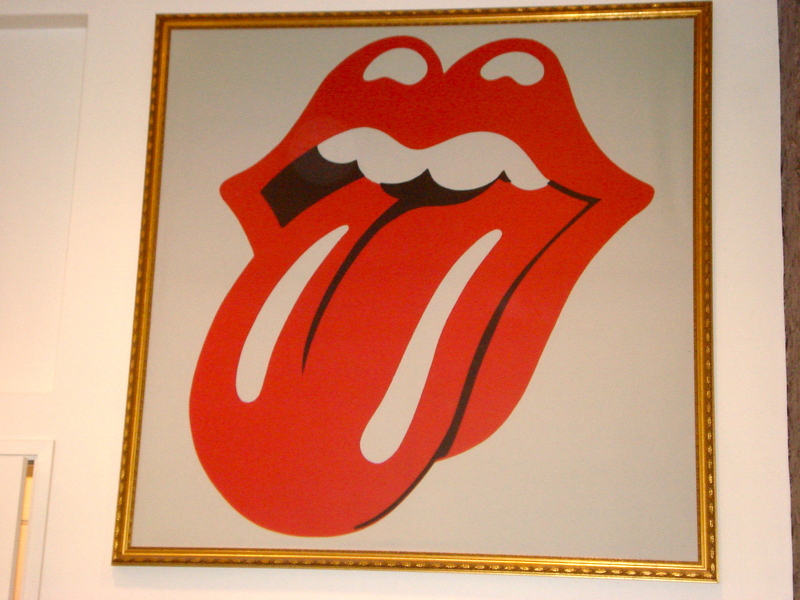 This entry was posted in Coffee, Friends, Music. Bookmark the permalink. Nice pics! Hope you had a great NY! That looks like a great spot. Hip-hop though? Why?!! Happy New Year! Ha ha! It is a nice spot. And I wouldn’t worry too much about the hip-hop. I suspect the staff was a bit bored this morning and they were simply having fun. And to be fair, the hip-hop thing didn’t last very long 😉 Happy new year to you too. 2012 will be here in less than 7 hours now!